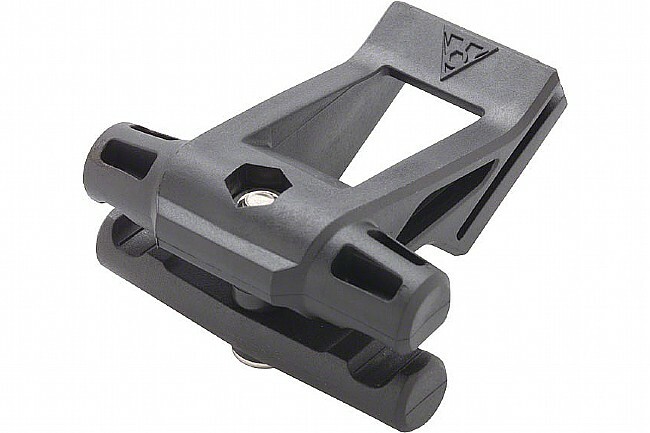 The Topeak Fixer 25 mount for Topeak Seat Bags is a replacement QuickClick mount for all Topeak Wedge Bags with QuickClick mount compatibility. Providing a secure mount to the bicycle's saddle rails, this intuitive mounting system keeps the saddle bag from getting in the way during rides. What I like about the seat bag fixer is that it holds to the bottom of your seat rail securely, not like other bags that have velcro which wear and eventually break. My mistake was purchasing a smaller bag and the velcro came apart. I went back to my Topeak bag never to roam again! Installed on new flat bar bike so I can rotate my seat bag bike to bike.